The system of theology known as Calvinism has been immensely influential for the past five hundred years, but it is often encountered negatively as a fatalistic belief system that confines human freedom and renders human action and choice irrelevant. Taking us beyond the caricatures, Michael Horton invites us to explore the teachings of Calvinism, also commonly known as Reformed theology, by showing us how it is biblical and God-centered, leading us to live our lives for the glory of God. 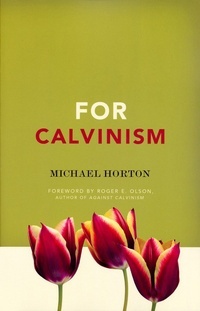 Horton explores the historical roots of Calvinism, walking readers through the distinctive known as the ‘Five Points,’ and encouraging us to consider its rich resources for faith and practice in the 21st Century. As a companion to Roger Olson’s Against Calvinism, readers will be able to compare contrasting perspectives and form their own opinions on the merits and weaknesses of Calvinism.